Granite countertops can completely transform the look of the kitchen or bathroom. Have you ever visited a friend or a neighbor’s house and went Wow! The moment as soon as you walk in the front door the first thing you notice is the Kitchen? I bet you have and witnessing a well-created kitchen for the first time for many people is a memory that a lot of people can remember. Having a Kitchen with a granite countertop can really make your kitchen stand out. More importantly choosing the right company to create this masterpiece is just as important. 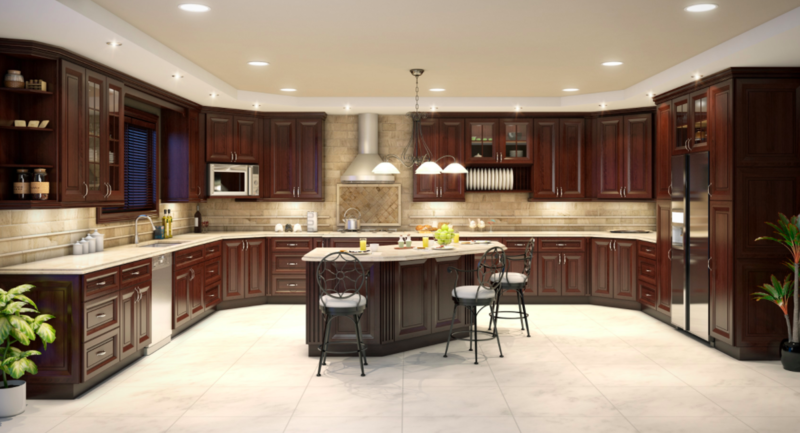 There are many reasons why people all over have decided to upgrade their kitchen countertop. Many have chosen to upgrade to one made out of Granite or even Quartz. Here are 5 reasons why upgrading to granite countertops is a good idea. Opulence – Having granite countertops for a lot of households can be a symbol of status. If you have a regular countertop made of Formica and then upgrade to a hard stone countertop – off the back you will not only tell but feel the difference for many folks. Longevity – Having a countertop made of Formica, wood or plastic is ok, however over time and under certain conditions, these materials may deteriorate. Investment – Having a nice countertop is an investment for many people. A granite countertop may last way longer that one made of wood and may even stay in that home long after you and your family have lived there. Real estate – Many Realtors will tell you that what sells the house is the Kitchen. You don’t believe me ask a Realtor. Having a gorgeous kitchen may actually help sell your home when the time is right. A seller may be more than likely to want to purchase a home if the Kitchen is on point. Happiness – A wise man once told me “Happy wife equals happy life” – Waking up in the morning to a beautiful kitchen for many people simply just makes them happy. Do not believe me, ask the Mrs.
Visit Supreme International USA – top design center in central Florida. Never experienced the perfect kitchen? Then we invite you to come and tour our new showroom on Orange Blossom trail. You may just find the perfect kitchen at our showroom.